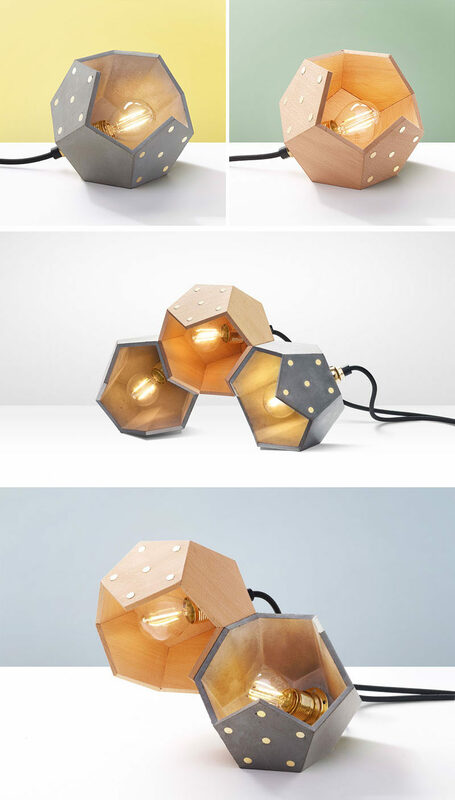 Architects Alessandro Mattei and Caterina Naglieri of Italian studio Plato Design, have a collection of concrete and wood magnetic lamps named TWELVE, that can be used individually or combined to make a larger sculptural lamp. 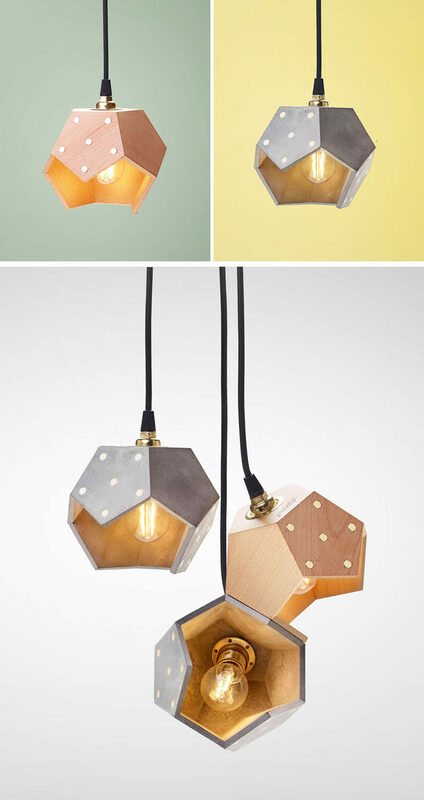 The collection, which includes both table and pendant lights made from concrete or wood, is named after its dodecahedron shape, which was achieved by using a repetition of a polyhedral shape. 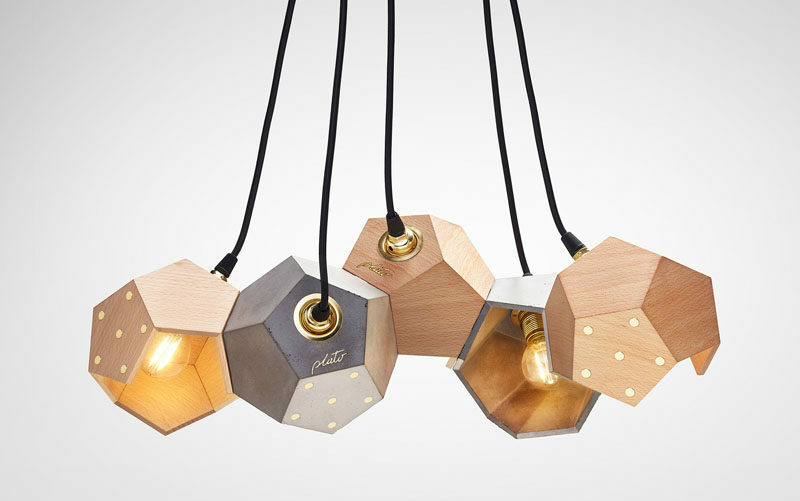 Each individual lamp has magnets on the sides of each module that allow the lamp to connect to another lamp or to shelves, fridges or a magnetic surface. Another benefit of the magnets means that once the lights are joined together, they can be rotated to direct the light in whichever direction is needed.